Extensive summer school programs started June 4 in several LINC-supported school districts. In the Kansas City Public Schools, LINC was one of several partners opening a summer school program with a strong focus on instruction in core academic areas. Over 7,000 students are enrolled in KCPS summer programs. 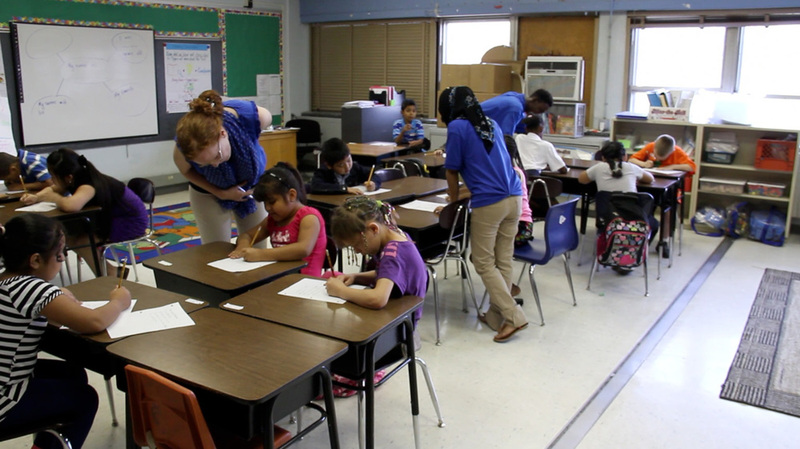 LINC is operating summer school programs at eight schools. While LINC has offered summer programs in KCPS before, this summer will be the first LINC has hired certified teachers to provide instruction and math. The increased focus on academic instruction is part of a collaborative effort to address the problem of summer learning regression (see "Summer school picks up steam to fight summer brain drain," Kansas City Star, 6/4/14). In the Independence School District, the "Summer Success" program offers a summer school session with a more academic focus than previous programs. More than half of the district's nearly 15,000 students are enrolled in "Summer Success," which emphasizes the four core subjects of math, language arts, social studies and science. The Independence program runs four days a week, June 4-26. "Summer Success" was developed to combat student learning loss over the summer months (see "Summer Success," Independence Examiner, 6/4/14). LINC is also offering summer programs in the Center, Fort Osage, Grandview, Hickman Mills and North Kansas City school districts.